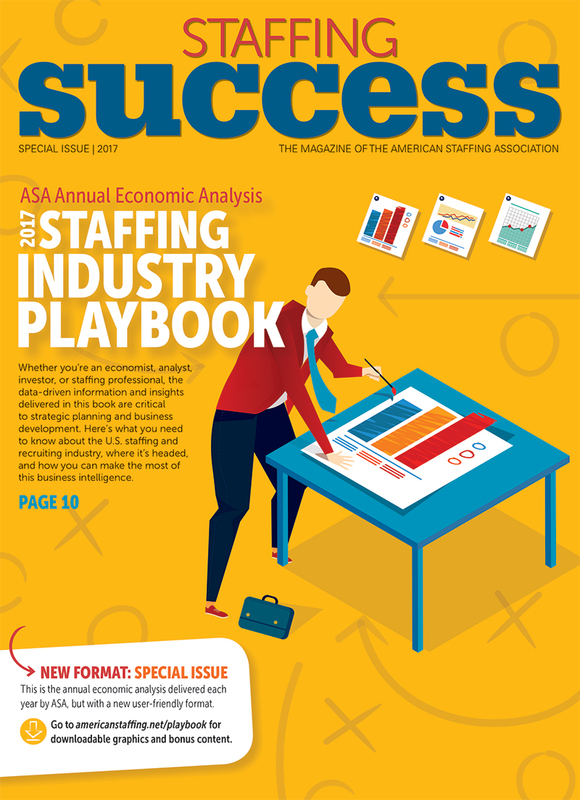 The ASA Staffing Industry Playbook is an annual economic analysis of the staffing and recruiting industry that provides data-driven information and insights critical to strategic planning and business development. 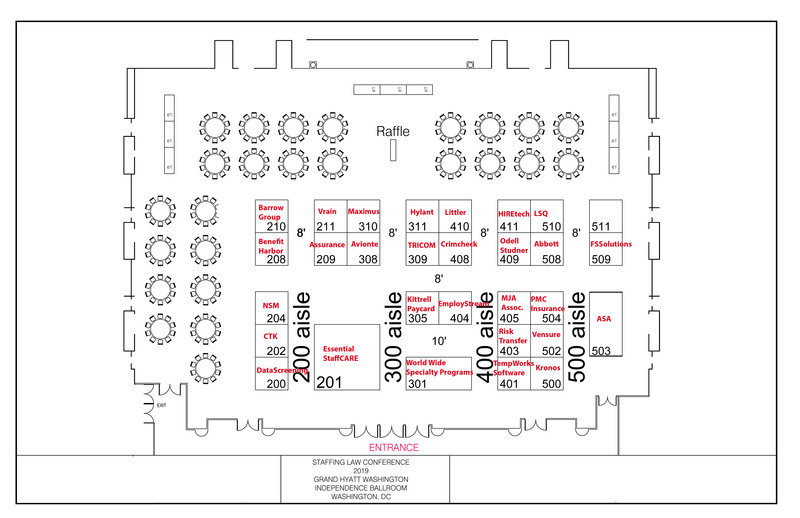 Decades of data clarified to bring into focus key staffing industry and economic trends. 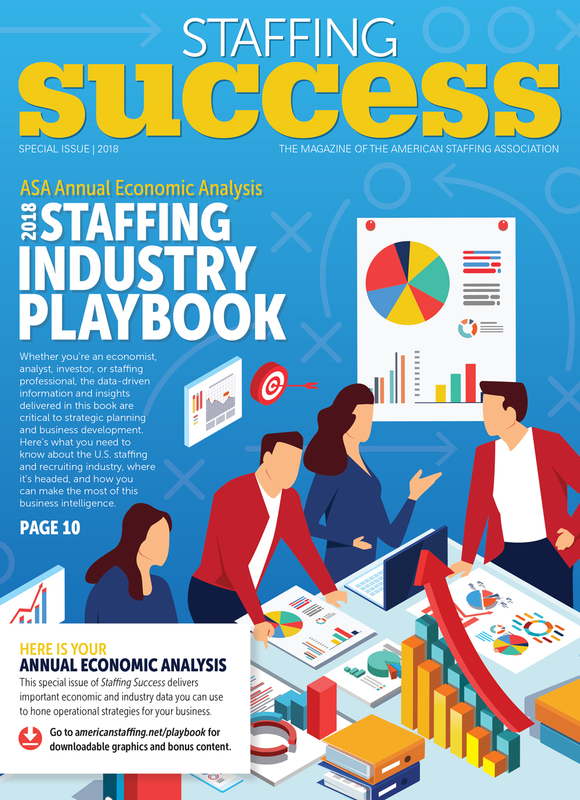 What you need to know about the staffing and recruiting industry, where it's headed, and how you can make the most of the intelligence. While slowing, the staffing and recruiting industry continues to grow faster than jobs overall and the economy. 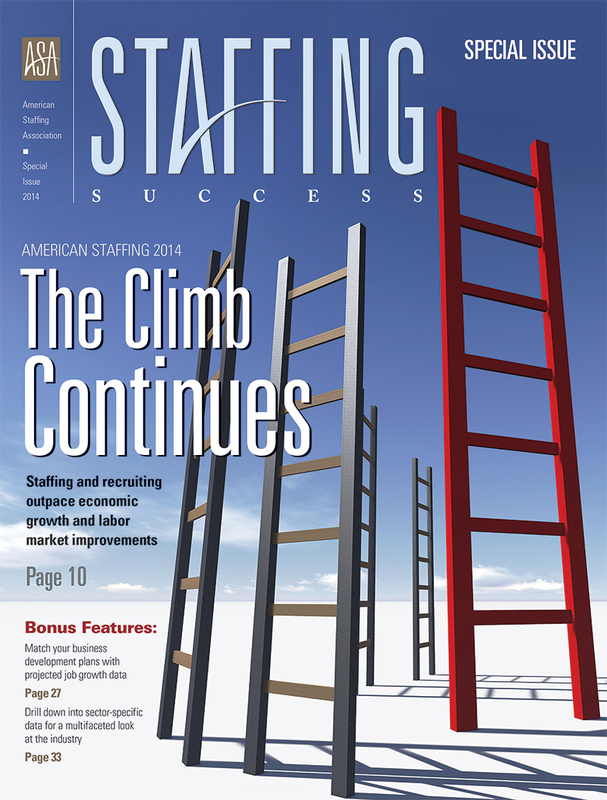 Staffing and Recruiting Industry Outpaces the Economy and the Labor Market. 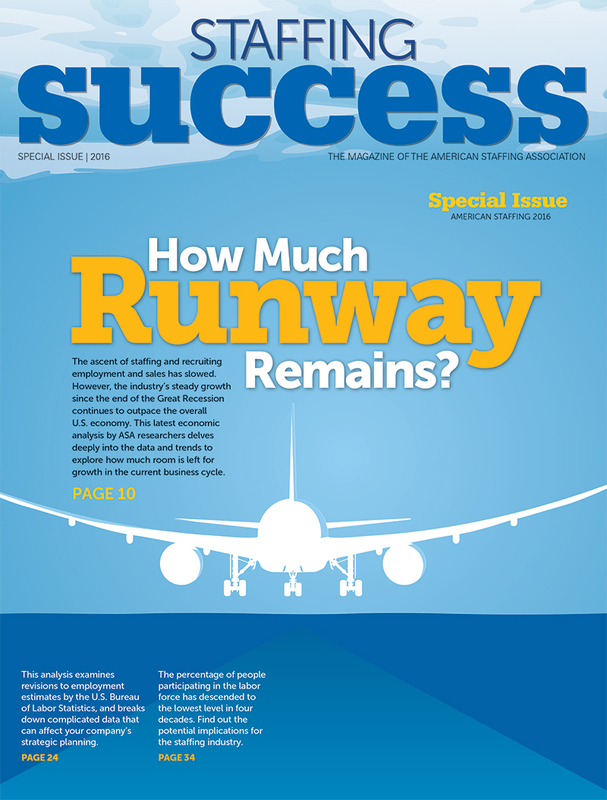 Staffing and Recruiting Outpace Economic Growth and Labor Market Improvements.